Most of the time it always starts with the envelope for me. I think making envelopes gets the creative juices going for me. When I am pleased with the envelope, then I sit down and write the letter. It isn't always that way but it seems to happen that way often. what about you? These are made using scrapbooking paper. Here is another envelope that was not included in the above photos. I am getting a little more creative with my postal stamp placements, do you think? Here is a batch of out going mail...don't worry, I did finish the cloud letter. I cut out a cloud for my return address and put a stamp on it. I'm still working my way out of the pile of letters ... I am still going at a pretty good pace. If you need to hear from me, just know that I am still working my way through. those envelopes are great...so many wonderful ideas. Why thank you! I love the springy colors....I do tend towards pink....I just can not help myself! These look very cheery! 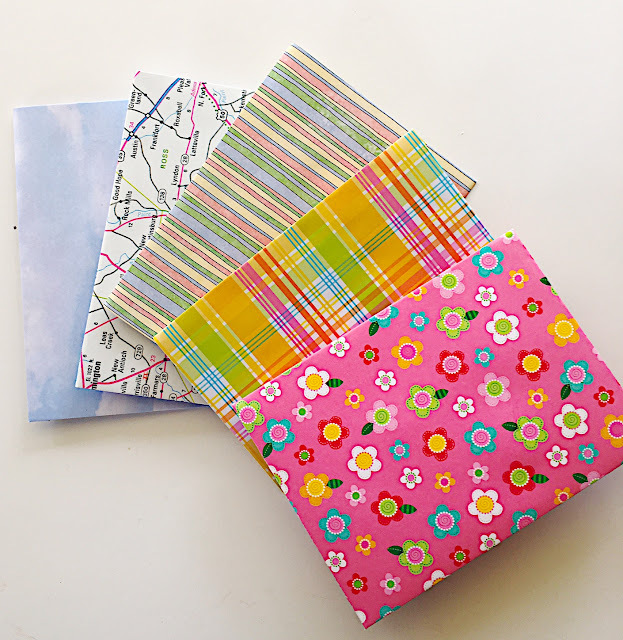 I like scrapbook paper if it is too side then I don't have to make a liner. My favorite paper to use is old calendars. The pages are so thick. I found some great ones recently at A.C. Moore for $1 each! Pam, If you have time. I'd love to hear from you too! I stop in a micheal today and looked at some paper. But I had coupon for 40% off of stickers and so that what I got. Haha, Dora! That happens to me too! I try to make SURE that I only buy with a coupon, or if it is already on sale. There is nothing more frustrating than to go down the paper crafting aisles and finding NO SALE signs. Bummer! 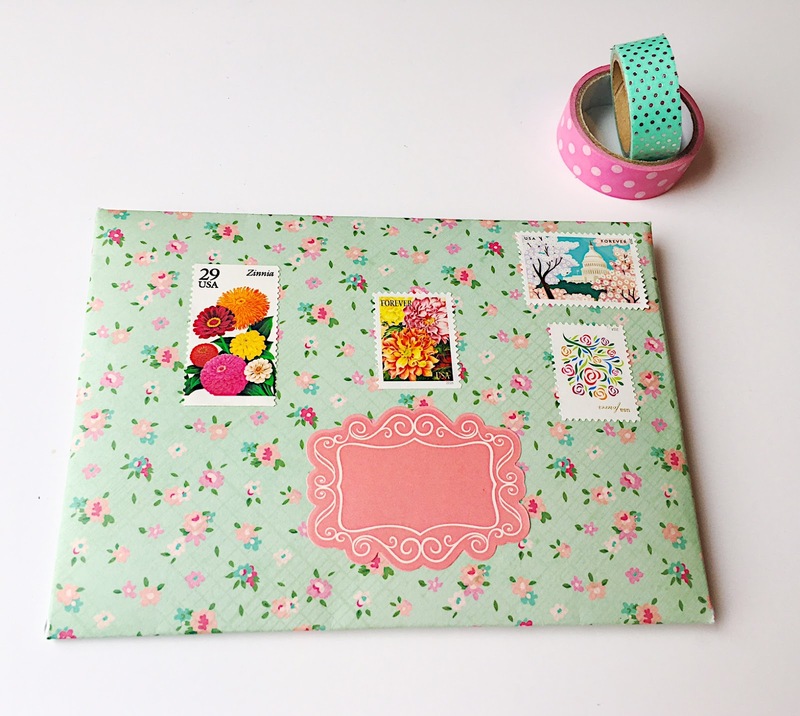 I had no idea you could put stamps all over the envelope like that! This may have opened a whole new world for me. I must try making some of these happy envelopes. Oh, yes!!! It is rather fun, and I think that the post office enjoys them. I could be wrong, but I hope so! I agree...I love these colors! Mouth-watering paper patterns, prints and energized pastels! 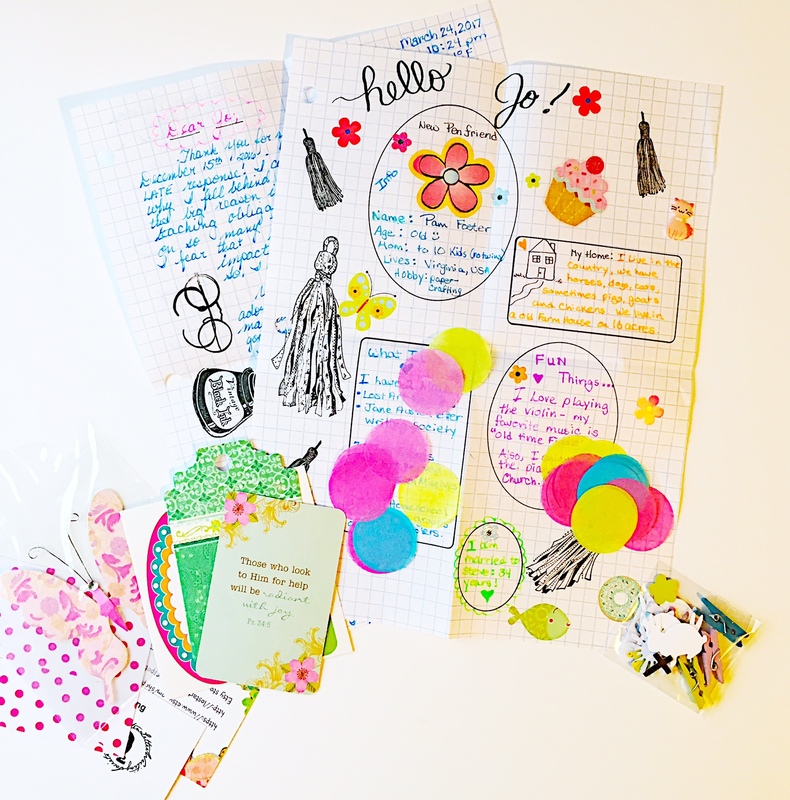 Your envelopes and letters are always so colourful and friendly looking. thanks for sharing. Happy Birthday today!